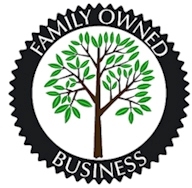 Fulmin Lamb Construction is a family owned, small business solution provider for all electrical products and services. We are a full service, licensed, and insured business with extensive experience in the fields of Commercial, Industrial, and Residential. We are affordable and dependable with a strong history of professionalism, safe work practices and quality service. No project is too big or too small. In accordance with our company policy we never compromise on quality and timely delivery. Our committed, experienced and industrious electricians have a knack for getting the job done right–the first time. We have years of experience with new installations, renovations, repairs and maintenance in commercial and industrial work sites. This experience will give you the confidence to use our services. We have a moral obligation to our customers to handle things in a professional matter with quality. All our professionals are registered and licensed electricians. With us, you can relax and know that the job will be done right, on budget and on time.